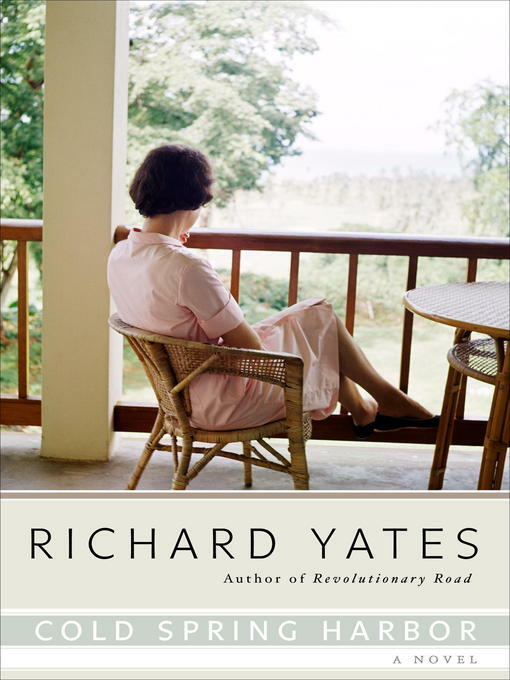 In this classic novel Richard Yates, hailed as a preeminent chronicler of the American condition and author of the acclaimed Revolutionary Road, weaves a masterful, unflinching tale of two families brought together by chance, desperation, and desire. Evan Shepard was born with good looks, bad luck, and a love for the open ro But it was on one such drive, with his father from rural Long Island into lower Manhattan, that Evan's life would be changed forever. When their car breaks down on a Greenwich Village street, Evan's father presses a random doorbell, looking for a telephone. Within hours, two families--sharing equally complex and addled histories--will come together. There will be flirtation. There will be a marriage. There will be a child, a new home... But as Evan moves further into the uncharted land of manhood, as the women and men around him come into focus, he faces roads not taken and a journey not made--in Richard Yates' haunting exploration of human restlessness, family secrets, and a future shaped by them both.